A reminder that Tensura’s main story will only be covered in 23 episodes. The remaining 2 episodes are bonus stories; Ep 24 is slated as an anime-original side story written by Tensura’s author. Ep 25 will be a pseudo-recap of the series’ events as seen from Veldora’s POV. The inexorable rise and rise of Rimaru the Slime continues. Rimuru’s successes are now so predictable it’s become tedious. Can’t Rimaru lose badly just once? But for all that I’m still watching it. I convince myself its because I like the Kaijin, Gabiru (a little), and Gobta. The animation ain’t half bad either. Or is it I like seeing someone being outrageously successful in order to escape my own happily banal existence? Well the jury is out on that one. 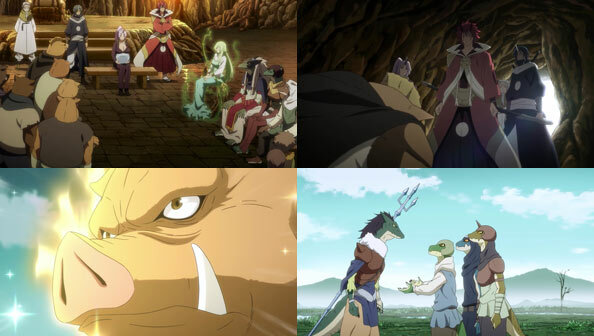 Oh and here’s a prediction: The king of the Lizardmen’s somewhat harsh exile of Gabiru will pay off in a future episode when Gabiru manages to do something heroic that saves Rimaru or something and redeems his good name in the world. He may end up restored to his rightful place in Lizardville even. 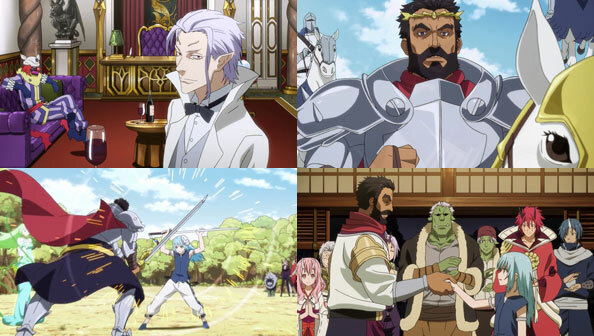 Given TenSura’s iron allegiance to Isekai and fantasy anime tropes and cliches, there is no way the show’s authors are going to let a high exposure character like Gabiru fade out of the show now…. Have you given Rise of the Shield Hero a try? MC starts out with several huge disadvantages compared to his three fellow “players”; even when he’s successful, the victories are modest. I’ve been watching with Hannah and agree it’s a good salve so far to Rimuru’s effortless success. It also isn’t half-bad in the animation department, and IMO actually surpasses TenSura in music. I’ve got Rise of the Shield Hero on my to watch list. I’m dropping a couple of shows off my list after execrable first episodes, so I might have room for it I think. Still its going to be a huge season for me. With Index, SAO, TenSura, Magical Girl Special Ops Asuka, the two new aviation-based shows, Endro, and also the Shield Hero, I’m going to be calling for the potato chips and soda soon to survive on while I binge. Cup noodles anyone?